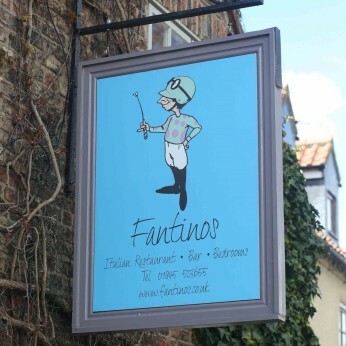 Sean has always hoped one day to own and run his own Italian restaurant with a friendly bar and very comfortable bedrooms and that is exactly what he now has. The emphasis is on a relaxed atmosphere, great food and superb friendly service. All of the food is produced in house from the finest ingredients sourced locally and from Italy. The pizzas and many of the restaurant specials are cooked in the huge wood fired oven under the watchful eye of our customers. We have a great selection of Italian wines, lagers and craft ales also the very best of Yorkshire’s beers. Our beautiful Bar is available for a relaxed pre dinner drink or an evening sup with your friends and we offer some superb local Yorkshire beers, an exciting selection of Italian beers and excellent Italian wines by the glass and bottle. Our large log burning stove is lit from 10.00 every morning in the cooler Yorkshire autumn and winter days so pop in and get a feel of this little piece of Italy in Yorkshire.